Bill Shockley brought the transistor to a pasture in Palo Alto, but he didn’t land there by chance. There was already a plot afoot which had nothing to do with silicon, and it had already been a happening place for some time by then. Often overshadowed by Edison and Menlo Park or Western Electric and its Bell Labs, people forget that the practical beginning of modern radio and telecommunications began unsuspectingly in the Bay Area on the shoestring-budgeted work benches of Lee de Forest at Federal Telegraph. 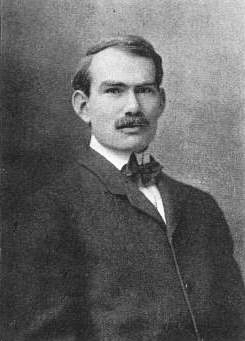 As the first decade of the 20th century passed, Lee de Forest was already a controversial figure. He had founded a company in New York to develop his early vacuum tubes as detectors for radio, but he was not very good at business. Some of the officers of the company decided that progress was not being made fast enough and drained the company of assets while de Forest was away. This led to years of legal troubles and the arrest of many involved due to fraud and loss of investors’ money. The biggest hurdle to great advances in wearable technology is the human body itself. For starters, there isn’t a single straight line on the thing. Add in all the flexing and sweating, and you have a pretty difficult platform for innovation. Well, times are changing for wearables. While there is no stock answer, there are some answers in soup stock. A group of scientists at Stanford University’s Bao Lab have created a whisper thin co-polymer with great conductivity. That’s right, they put two different kinds of insulators together and created a conductor. The only trouble was that the resulting material was quite rigid. With the help of some fancy x-ray equipment, they discovered that adding a molecule found in standard industrial soup thickeners stops the crystallization process of the polymers, leaving them flexible and stretchy. Get this: the material conducts even better when stretched. The scientists have used the material to make both simple, transparent electrodes as well as entire flexible transistor arrays with an inkjet printer. They hope to influence next generation wearable technology for everything from smart clothing to medical devices. Who knows, maybe they can team up with the University of Rochester and create a conducting co-polymer that can also shape-shift. Check out a brief demonstration after the break. Although there is a lot of discussion about health care problems in big countries like the United States, we often don’t realize that this is a “first world” problem. In many places, obtaining health care of any kind can be a major problem. In places where water and electricity are scarce, a lot of modern medical technology is virtually unobtainable. A team from Standford recently developed a cheap, easily made centrifuge using little more than paper, scrap material like wood or PVC pipe, and string. A centrifuge is a device that spins samples to separate them and–to be effective–they need to spin pretty fast. Go to any medical lab in a developed country and you’ll find at least one. It will be large, heavy, expensive, and it will require electricity. Some have tried using hand-operated centrifuges using mechanisms like an egg beater or a salad spinner, but these don’t really move fast enough to work well. At the least, it takes a very long time to get results with a slow centrifuge. [M. Saad Bhamla] and his colleagues at Stanford started brainstorming on this problem. They thought about toys that rotate, including a yo-yo. Turns out, those don’t spin all that fast, either. Then they considered a whirligig. We had forgotten what those are, but it is the real name for a toy that has a spinning disk and (usually) a string. When you pull on the string, the disk spins and the more you pull, the faster the disk spins. These actually have an ancient origin appearing in medieval tapestries and almost 2,500 years ago in China. [Bhamla] found that how the toy worked was poorly understood (from a scientific standpoint) and took pictures of one in operation with a high-speed camera. The team was able to create the “paperfuge”, a human-powered centrifuge that would spin at 125,000 RPM, enough to separate plasma from blood in under two minutes and isolate malaria parasites in 15. Some versions of the device could cost as little as twenty cents and don’t require anything more exotic than paper and string. You can see a video about the paperfuge, below. High-altitude balloon flights have become somewhat of a known quantity these days. Although it’s still a fun project that’ll bring your hackerspace together on a complex challenge, after the first balloon or two, everyone starts to wonder”what next?”. Higher? Faster? Further? Cheaper? More science? There are a variety of different challenges out there. A group of Stanford students just bagged a new record, longest time in flight, with their SSI-41 mission. In addition to flying from coast to coast, on a track that went waaaay up into Canadian airspace, they logged 79 hours of flight time. The secret? Val-Bal. A “valve ballast” gas venting valve and ballast dispenser system that kept the balloon from going too high (and popping) or dropping back down to earth. The balance seems to have worked nearly perfectly — check the altitude profile graph. We’d love to see more details about this system. If anyone out there on the team does a writeup, let us know? There are as many interesting ways to get into high-altitude ballooning as there are hackers. We love the extreme economy of the Pico Space Balloon project, which has gone around the world (twice!) on a solar-powered party balloon. And we’ll give both the best-name and ridiculous-concept awards to the Tetroon. But for now, most time aloft goes to the Stanford team. Congrats! If you need to build a robot to carry something, you need a bit motor, right? Not so with these tiny robots out of Stanford’s Biomimetic Dexterous Manipulation Laboratory. One of these 12g MicroTugs can drag a 600g mug of coffee across a table, or even a 12kg weight. According to the authors, it’s a, ‘capability … comparable to a human dragging a blue whale.’ Square-cube law notwithstanding, of course. What makes these little robots so strong? It’s not the actuators; it’s their feet. On the bottom of this robot is a material that uses mechanical anisotropic adhesion, a fancy material that only sticks to flat surfaces when it’s being pulled in a specific direction. The best description of this material inspired by gecko feet would be this video, also from the Stanford BDML lab. It’s a neat material that we’ll probably find in Post-It notes in a decade, and with a single motor, a tiny robot can lift thousands of times its own body weight. Videos below. Thanks [Adrian] for the tip. If you’ve been keeping up with augmented and virtual reality news, you’ll remember that spacial haptic feedback devices aren’t groundbreaking new technology. You’ll also remember, however, that a professional system is notoriously expensive–on the order of several thousand dollars. Grad students [Jonas], [Michael], and [Jordi] and their professor [Eva-Lotta] form the design team aiming to bridge that hefty price gap by providing you with a design that you can build at home. In our case, this haptic device is a two-link, two-joint system grounded on a base station and providing force feedback with servo motors and tensioned wire ropes. The manipulator itself supports 3-degree-of-freedom movement of the end-effector (translations, but no rotations) which is tracked with encoders placed on all joints. To enable feedback, joints are engaged with cable-drive transmissions. The design team isn’t new to iterative prototyping. Hailing from CS235, a Stanford course aimed to impart protoyping techniques to otherwise non-tinkerers, the designers have drawn numerous techniques from this course to deliver a fully functional and reproducible setup. In fact, it’s clear that the designers have a strong understanding of their system’s physics, and they capitalize on a few tricks that don’t immediately jump out to us as intuitive. For instance, rather than rigidly fixing their cable to the motor shaft, they simply wrap the cable around the shaft a mere 5 turns such that the force of friction greatly exceeds the threshold amount that would otherwise cause slipping. They also choose plywood–not necessarily because of its price–but more so because of its function as a stiff, layered composite that makes it ideal “lever arm material” for rigidly transferring forces. For a full breakdown of their design, take a look at their conference paper (PDF) where they evaluate their design techniques and outline the forward kinematics. They’ve also provided a staggeringly comprehensive bill of materials (Google Spreadsheet). Finally, as justifiably open source hardware, they’ve packaged their control software and CAD models into a github repository so that you too can jump into the world of quality force feedback simulation without shelling out the twenty thousand dollars for a professional system. New magnetic tech dubbed “MagnID” is being presented this weekend at Stanford’s annual TEI conference. It is a clever hack aimed to hijack a tablet’s compass sensor and force it to recognize multiple objects. Here is a sneak peek at the possibilities of magnetic input for tablets. Many tablets come with some sort of triaxial magnetic sensor but as [Andrea] and [Ian]’s demo shows, they are only capable of passing along the aggregate vector of all magnetic forces. If one had multiple magnetic objects, the sensor is not able to provide much useful information. Their solution is a mix of software and hardware. Each object is given a magnet that rotates at a different known speed. This creates complex sinusoidal magnetic fields that can be mathematically isolated with bandpass filters. This also gives them distance to each object. The team added an Arduino with a magnetometer for reasons unexplained, perhaps the ones built into tablets are not sufficient? The demo video below shows off what is under the hood and some new input mechanics for simple games, sketching, and a logo turtle. Their hope is that this opens the door to all manner of tangible devices. Check out their demo at Standford’s 9th annual “Tangible, Embedded, Embodied Interaction” this January 15-19, 2015.